Fort Lauderdale Construction Attorney | Hollywood Construction Litigation | Florida | David S. Tupler, P.A. When you retain a Hollywood construction attorney from David S. Tupler, P.A., our main goal becomes identifying the most cost-effective and potent strategy – given the circumstances – that will lead to the most favorable outcome for you. We aggressively protect your interests through arbitration or mediation, and, when necessary, through civil litigation. When a dispute arises in a large construction project in Hollywood and Fort Lauderdale, it can quickly escalate. Understanding this, all parties in a dispute sometimes agree to avoid the civil court system and choose to arbitration or mediation over costly litigation. In contrast, mediation usually is conducted by a single neutral third party who helps facilitate discussion and eventual resolution of the dispute. Advantages of using arbitration or mediation include a faster process and quicker resolution. 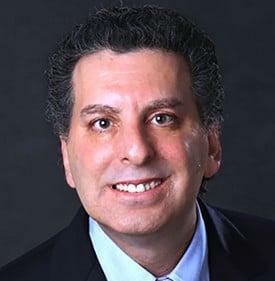 Whether you are seeking to resolve your litigation dispute through mediation, arbitration or a dispute review board in Broward County courts, Fort Lauderdale construction litigation attorney David S. Tupler will be there to advise and represent you, while ensuring that your perspective is properly presented and your rights are protected. We’re experts in Florida’s laws, and know the court personnel who will be handling your case. We will leverage our years of experience and strong professional relationships as we work to help you obtain the best possible outcome. Written contracts form the basis upon which business transactions and relationships are built in Fort Lauderdale and Hollywood. The construction industry is no exception. Our Broward contract attorneys are highly skilled in drafting legally binding documents that ensure your interests are protected in court. If you have questions about an existing agreement, our lawyers can review it to help you better understand the terms and how they impact your business. We also can help you improve your existing contract to better protect your business. Because timelines are critical when completing a project in Fort Lauderdale and Hollywood, delays could become costly, quickly. If this happens, the affected party likely will choose to file a delay claim. A knowledgeable Broward construction lawyer would recommend strengthening your case by enlisting the support of the appropriate professionals — often project management experts and accountants — to conduct an impact analysis to help prove your damages. For clients who require defense against a delay claim, we can utilize the services of similar experts to assist in crafting and presenting your defense. If you are a contractor, subcontractor, or sub-subcontractor who is having difficulty getting paid for services provided or materials supplied to a construction project, your Fort Lauderdale construction attorney could file a motion to place a mechanic’s lien on the property as a means of obtaining payment in Broward County. In Fort Lauderdale and Hollywood jurisdictions, state law authorizes the use of liens on a property to secure payment of any delinquent amount from the lienor. When a lien is recorded and notice is sent to the owner, it is an announcement of your intent to utilize a legal tool to collect the debt owed. We usually allow up to 14 days for the lienor to pay in full or enter into a settlement agreement. Our experience has shown that – with the help of a construction lawyer – a majority of liens are paid in a timely manner. There are; however, instances in which the other party does not respond to a demand letter and debt is not resolved. In such cases, court action is required in the form of a foreclosure. A judgment in your favor will force the owner or contractor to sell the property, with monies received distributed to you by the Court Registry to settle your claim. Design professionals like architects and engineers have high-stakes roles in construction projects. The slightest mistake by one of these professionals could lead to massive additional expenses and could even pose safety risks. Because of this, they usually are extensively insured. We can help you take on their insurance companies by equipping you with the necessary knowledge, research, and professional representation to help you prevail. Moreover, we will deal directly with the insurance representatives, enabling you to focus your time and energy where it belongs – on your business. Architects and engineers face a great potential for liability each day. Construction contractors and their clients rely on these professionals to help their projects progress according to the required timeline, and more importantly, architects and engineers play a key role in ensuring building safety. If you are a design professional facing a liability claim, we can help. A Fort Lauderdale construction litigation attorney from our Firm will dissect your case and work diligently to protect your rights and professional reputation. Every construction project includes warranties that may be expressly written or implied. These warranties may create liability if breached. The callback warranty – which requires contractors to correct nonconforming work – is a common example that often leads to conflict between the parties. Warranties and the laws that govern them often are complex; therefore, a warranty-related issue should be addressed with the assistance of a qualified lawyer. Dealing with the government can be costly for contractors as the administrative process is often complex and time-consuming. Whether you have received a complaint against your license or are having difficulty obtaining a license, we will do the groundwork for you. We also can represent you if you face disciplinary action, an administrative appeal or litigation in court. There are several laws that mandate the way in which government contracts must be awarded. If a contractor believes the government incorrectly solicited or awarded a contract, he or she may file a protest or dispute. A protest must be filed by an interested party; usually someone who is next in line to be awarded the project f the protest is sustained. A protest may challenge the acceptance or rejection of a bid or proposal, the award of a contract, defects in the solicitation process, including restrictive specifications, a required provision that has been omitted, or if evaluation factors are vague. Bids and awards may be protested before or after the project has been awarded. If you just started your own business in Hollywood or elsewhere in Broward County, you’ve got a ton of work ahead of you. In addition to renting and furnishing your office, purchasing supplies and hiring staff, you need to safeguard yourself from future action that might be brought against your business. Our Fort Lauderdale commercial litigation lawyers can help you file all necessary paperwork with Florida’s Division of Corporations to ensure that you’re protected. We handle bad check actions, foreclosures, insurance disputes/claims and employee handbook writing, among other areas affecting Broward County corporations within the commercial law spectrum. Unpaid wages and claims of discrimination are two of the more prominent sub-areas of practice of labor and employment law. Once our employment attorneys go to work for you on your labor law case, you’ll discover that the guidelines for an employment lawsuit are extremely tricky, and each case is very different. While all parties in a dispute usually are encouraged to pursue mediation or arbitration first, a mutually beneficial agreement can’t always be agreed upon. The next step is usually a lawsuit, and the unique circumstances of each case will determine whether it should be filed in Florida state or federal court. Our Fort Lauderdale & Hollywood employment lawyers and labor attorneys know the nuances of this ever-changing area of law, and defend employers accused of not properly paying their employees. Employers in Broward County are required by state and federal law to provide for a safe work environment for employees. Sadly, sometimes necessary precautions aren’t taken, and workers are seriously injured in a construction accident caused by the negligent action – or in this case inaction – of the company. If you or a loved one have been seriously hurt on the construction site in an accident that should have been prevented your employer, you might be able to recover substantial compensation to pay for pain, suffering, mental anguish and a barrage of medical bills that soon will be coming your way. In some cases, when an employer’s actions are proven to cause catastrophic harm, awarded damages could include loss of future income. A Fort Lauderdale construction accident attorney specializes in cases involving construction injuries in Hollywood and throughout Broward County. In a recent blog related to construction accidents, we discussed some construction-related hazards Broward County faced as Hurricane Irma churned toward our coast. 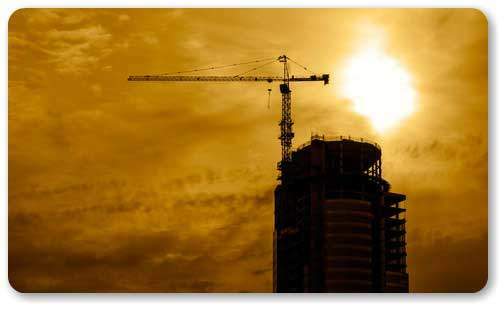 In a follow-up blog the day after Irma moved away from Florida, we talked about the three construction cranes that collapsed in South Florida, and the potential liabilities involved for construction site owners. That blog is here.